"Tell me and I'll forget, show me and I may not remember, involve me and I'll understand" - a powerful motto to live by in all aspects of life. 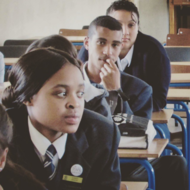 At TWTC, we consider education to be the at the heart of all the services we offer. In this spirit, we are in the process of finalising a sustainable classroom at the depot, which will be used for our popular depot tours, and to introduce a variety of workshops to school enviroclubs. 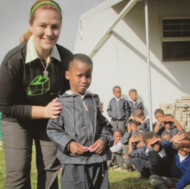 Our new schools project coordinator, Emmy, has hit the ground running. Expect to meet her soon, if you have not already. In the third term The Schools Recycling Project will be promoting depot tours, if you have not yet booked yours, please contact us to do so. 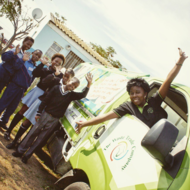 We would like to thank Sapphire Primary School for recommending that we bring learners from one of our top schools, BJ Mnyanda Primary, to teach their own learners about recycling. 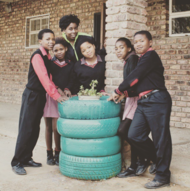 Five brave learners from BJ Mnyanda's enviroclub accepted the task at hand. 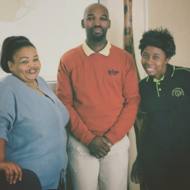 We met with BJ Mnyanda at Sapphire Primary to address three classrooms. 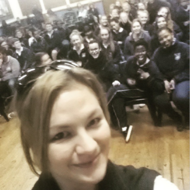 Vicky and Emmy set the foundation with an envirotalk and BJ Mnyanda's pupils then answered questions from the learners. BJ Mnyanda's pupils also insisted on doing separation training. 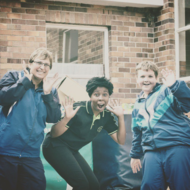 Lisakhanya had no problem standing up infront of Sapphire Primary's learners to give them the basic recycling guidelines. Needless to say, our green hearts burst with pride when we witness events such as these! TWTC is pleased to announce that we have branched out to the Kirkwood / Addo area. Our new depot, on Addo Main Road, is now fully equipped to cater for the recycling demand in the area. The valley is buzzing with excitement and key role players have been identified to assist with servicing schools and other clients. 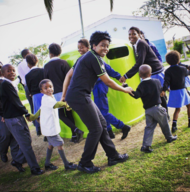 Rumour has it, Kirkwood already has a community cleanup planned for Mandela Day in July. 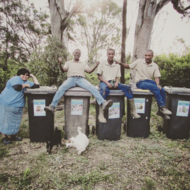 TWTC, in partnership with Mpact, will be responsible for recycling at the ABSA Kirkwood Wildsfees again this year. 20 Recycling Stations will be placed with 30 Green Ambassadors from the local St Colmcille High School facilitating these. We look forward to working together with the dynamic Wildsfees team again!